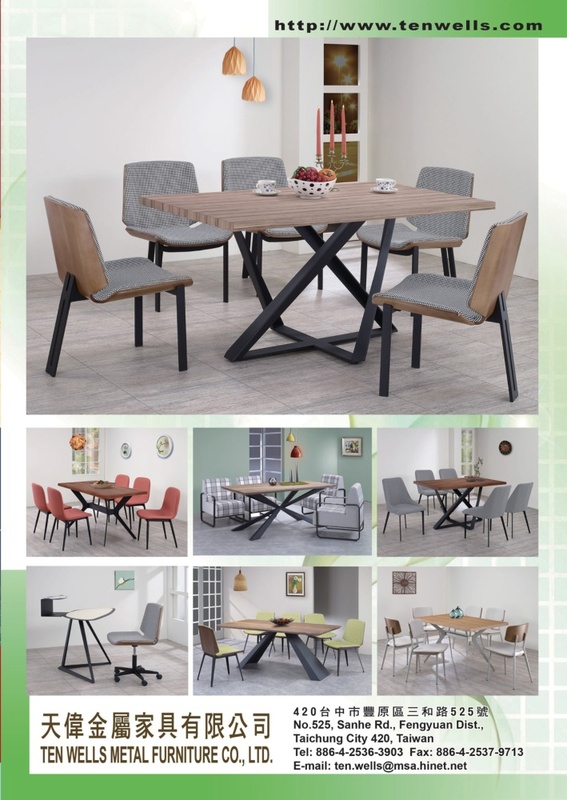 Our company, TEN WELL METAL FURNITURE CO., LTD., was established in 1980. Our furniture designs are inspired by European masters that combine classical artistic culture and works by famous designers, as well as integrates the concept of “Pursuing excellent craftsmanship.” Our range has been popularly received since 1980, for which we are grateful. Our professionalism is backed by creativity, taste, and trendiness; while we take pride in our enthusiasm to build into our products upscale, elegant flavors, which enable us to achieve success at home and abroad, as well as turn TEN WELLS into a brand of guaranteed quality and superiority. Our goal and mission is to build even better, user-friendly furniture, as well as offer products that enhance quality of life. Meanwhile, we look forward to your continued patronage.